‘Tis the season for all things Christmas related, from parties to decorating to seeing Santa and, of course, all the sparkling lights. 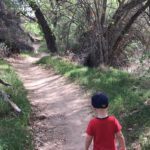 There are plenty of family friendly events happening all over the Valley, and here is a short list of some of our personal favorites. A couple are free as well! 1. See a play! We first saw Valley Youth Theatre’s production of Winnie the Pooh Christmas Tail in 2013 and have recommended it to everyone since! (Read our review here.) 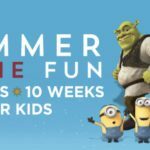 This is perfect for toddlers (yes, even those that won’t hold still) and any age of children who love Pooh, Piglet, Eeyore and all the friends in The Hundred Acre Woods. For older children, try Miracle on 34th Street. The Arizona Broadway Company delivers a captivating musical performance of this well loved story of a little girl and her discovery of Santa and what Christmas really means. Prices range from $20 for Winnie the Pooh, to $62 and up for Miracle on 34th Street. 2. Snow! 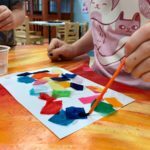 Well, it’s not exactly snow….but it’s a fun way for kids to imagine they have flakes falling all around them this winter season. 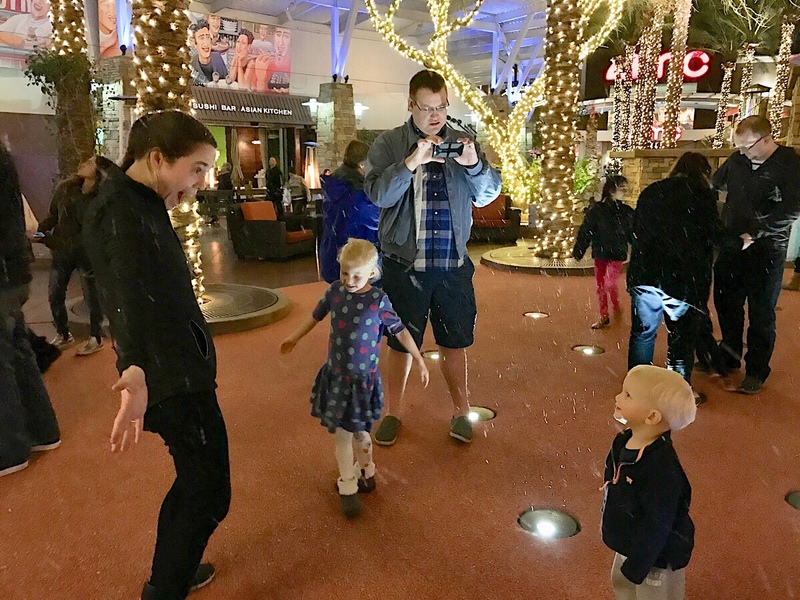 Both Tempe Marketplace and Desert Ridge have free nightly snowfalls, and our kids never want it to end. Get some shopping done, grab some dinner, and then sip on hot chocolate while you watch the snow. 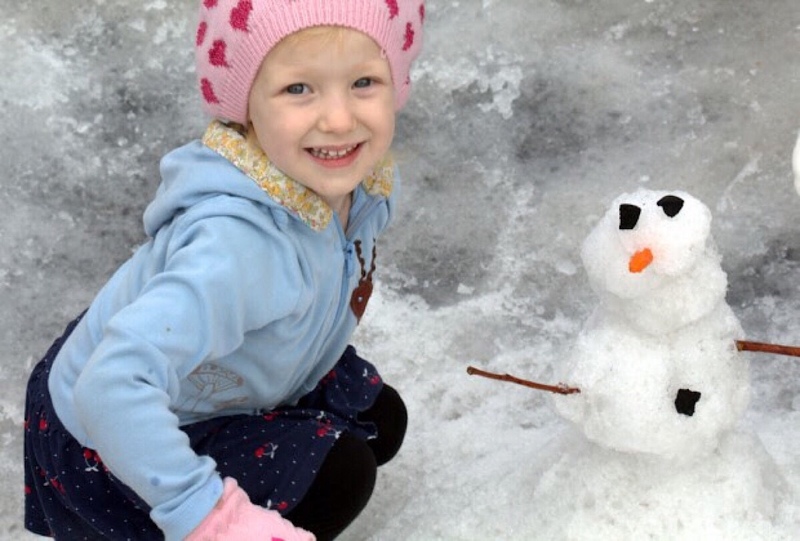 If the kids want to experience real snow, short of driving to Flagstaff, you can try events like Christmas in Carefree or the Arizona Science Museum Snow Week. 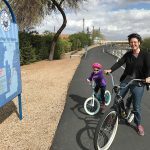 Also new in 2018 are free weekend snow days at Odysea in the Desert! 3. 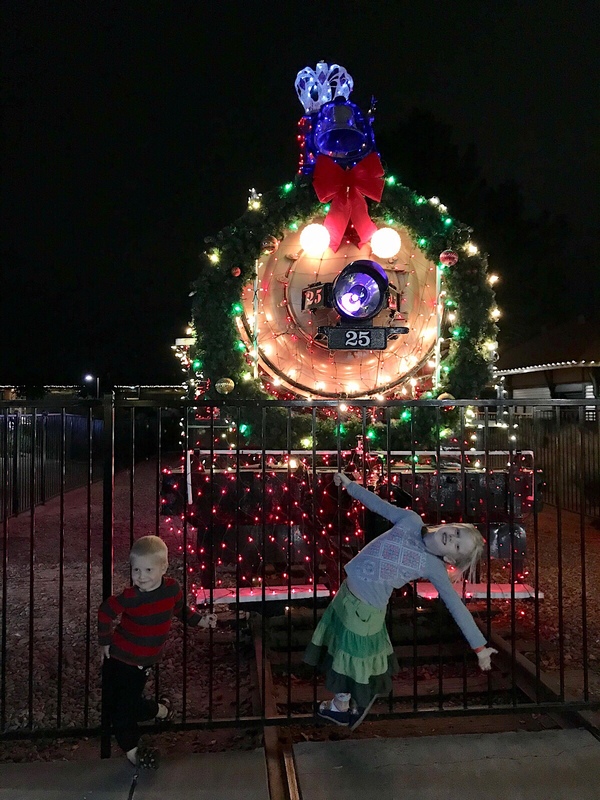 Holiday Lights at McCormick Railroad Park! 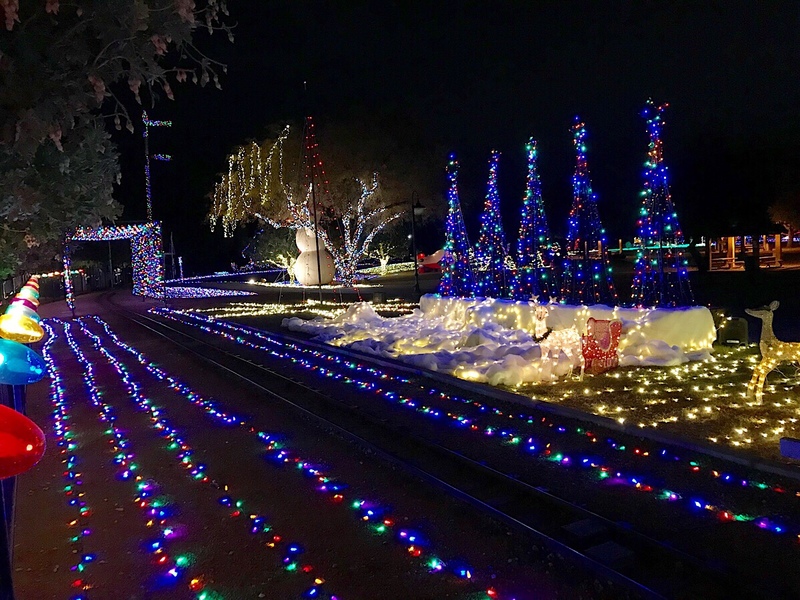 This train park is our top favorite place to visit any time of year, and gets even more magical in December! Riding the train and carousel after dark, surrounded by hundreds of lights and beautiful Christmas decorations is fun for the whole family. Tickets are $2 or $5/person. (Note: be prepared for long waits for the train, sometimes over 40 minutes. The carousel can be less. You can also see Santa, the model railroad museum, and visit the snack shop.) Information on more light shows in the Phoenix can be found here. 4. The Nutcracker! 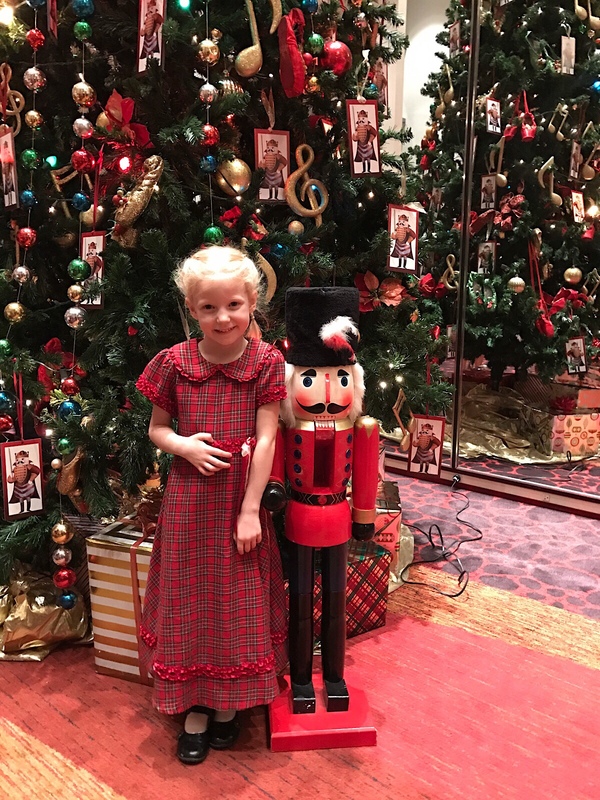 While not cheap, seeing a live Nutcracker performance is a classic Christmas tradition. 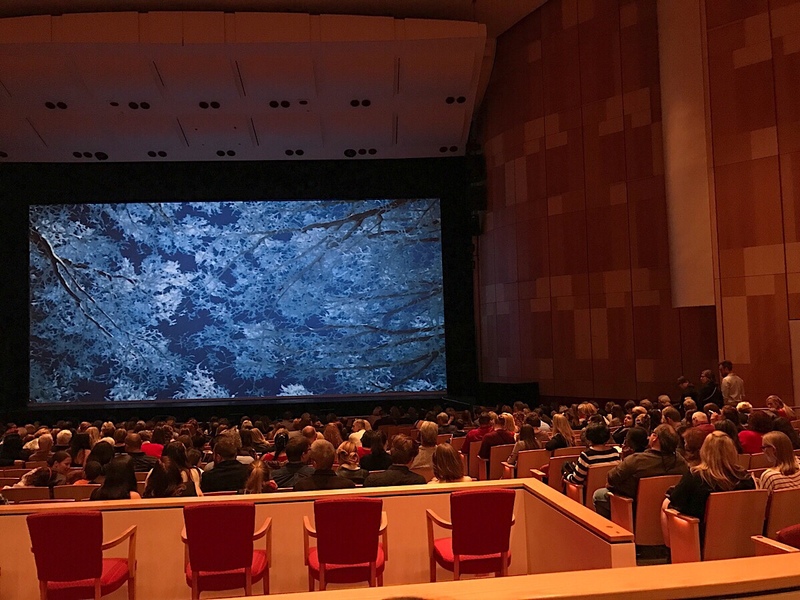 Both Ballet Arizona and the Phoenix Ballet Company have performances all during December. 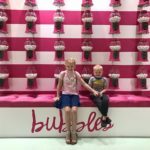 Our visit to Ballet Arizona in 2016 was magical; our daughter still talks about the gorgeous scenery, the Mouse King battle, and of course, the beautiful Sugar Plum Fairy. Prices range from $47-$150/person, depending on seats chosen. 5. 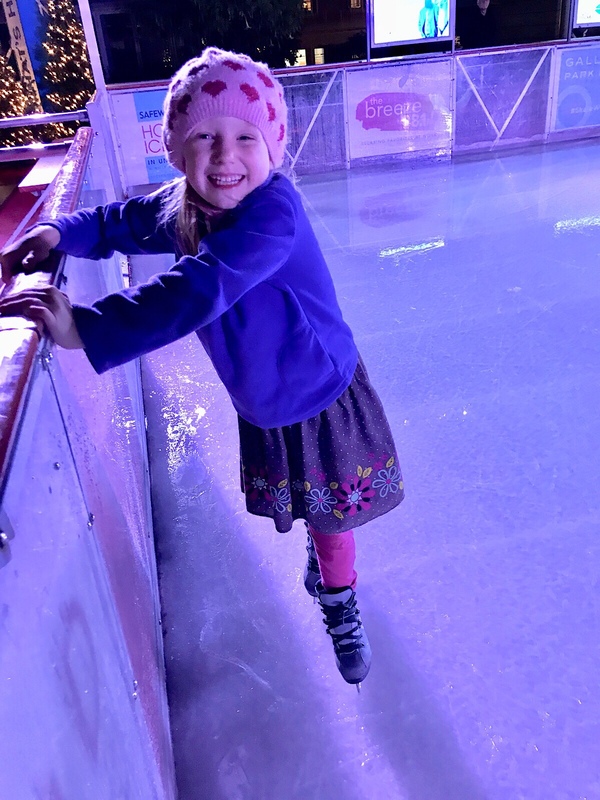 Ice Skating! 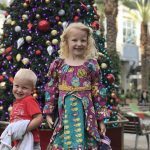 Outdoor ice skating in Phoenix? Oh yes! 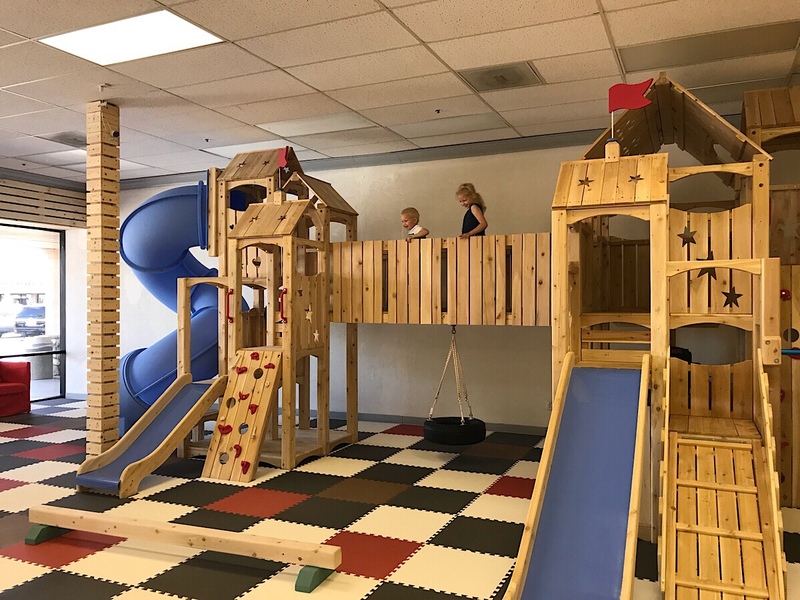 Several places like CityScape downtown, or Westgate shopping area in Glendale offer a memorable experience for family and friends of all ages. 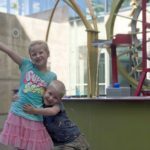 Plus seeing Santa and a free movie event on select days and locations. Skates are included in the $10-$15 price. 6. Christmas movies outdoors! 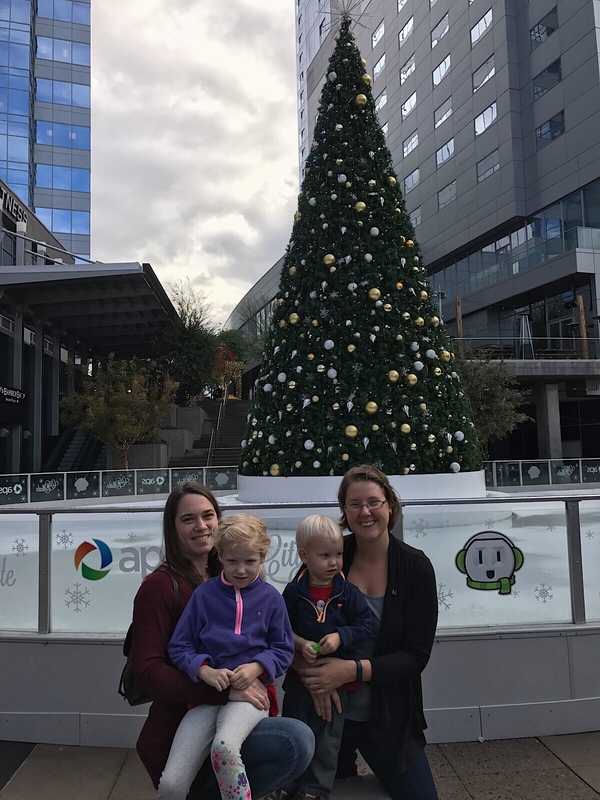 Nothing brings you in the Christmas spirit than a sweet Christmas movie — and there are several outdoor viewings in the Phoenix area. 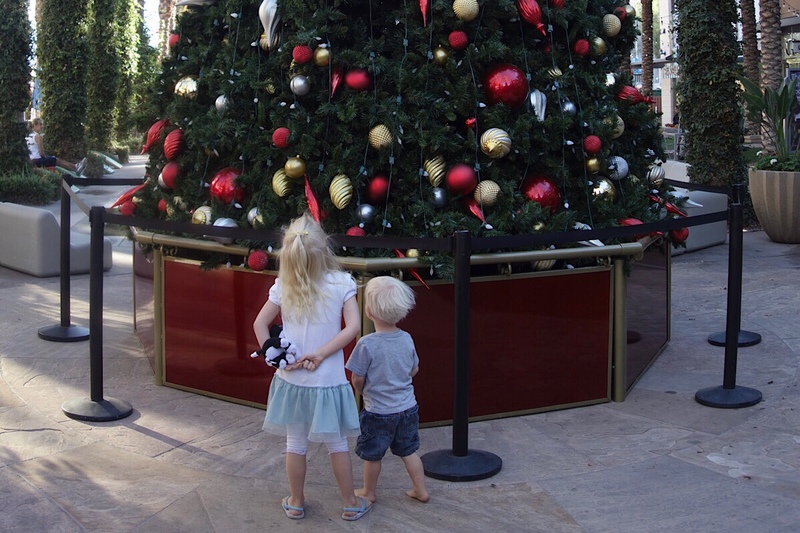 Places like Scottsdale Quarter and Desert Ridge offer free movie nights with favorites like Elf, A Christmas Carol and Frozen. Bring a blanket or chair, some events also have food available for purchase. 7. Christmas Lights Tour! 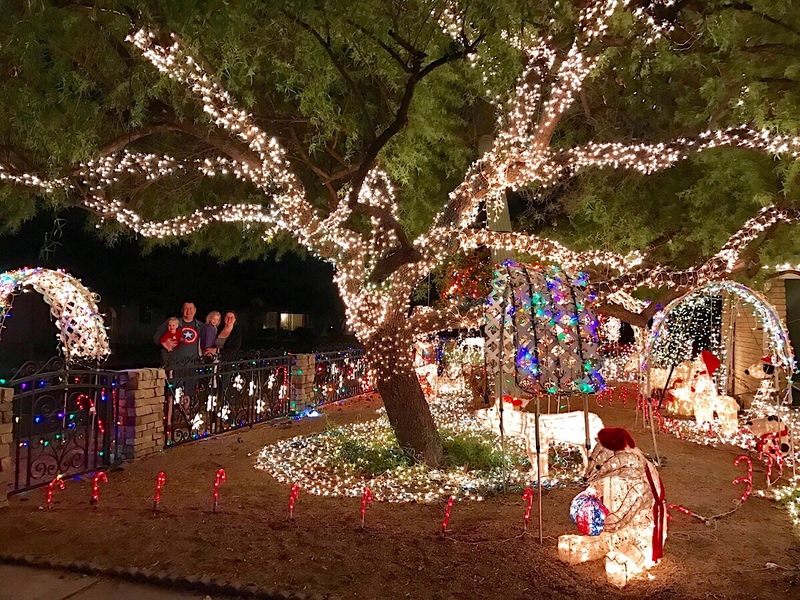 AZ Central puts out a fabulous annual map of where to see light displays. 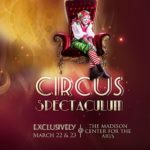 This can range from a whole street collaborating on decorations to live animals and a bonfire, to light shows set to music and more. We LOVE this list and every year, plan a couple nights between dinner and bedtime to drive around some neighborhoods. It varies every year where we go; it’s fun to see old favorites and new displays. For a special family night, surprise the kids with hot chocolate and cookies to enjoy while you drive. Merry Christmas! 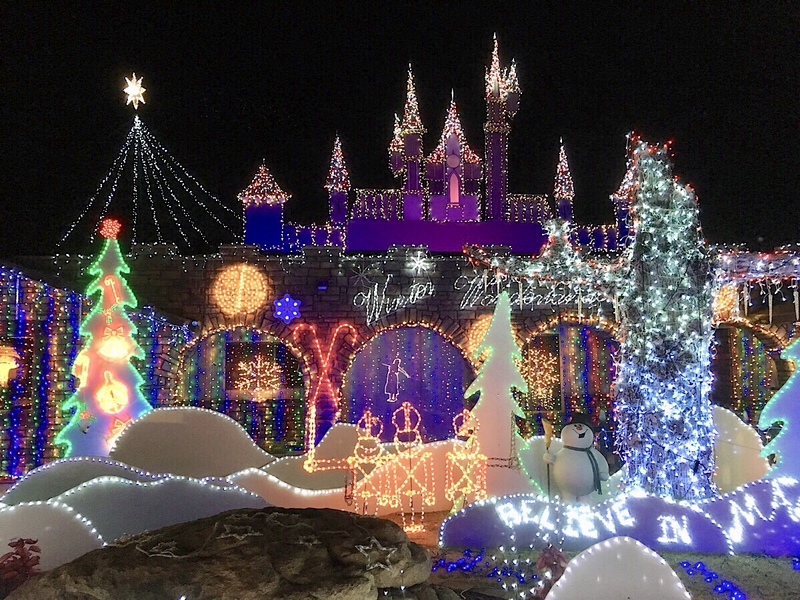 Interested in seeing more holiday light shows with the family? 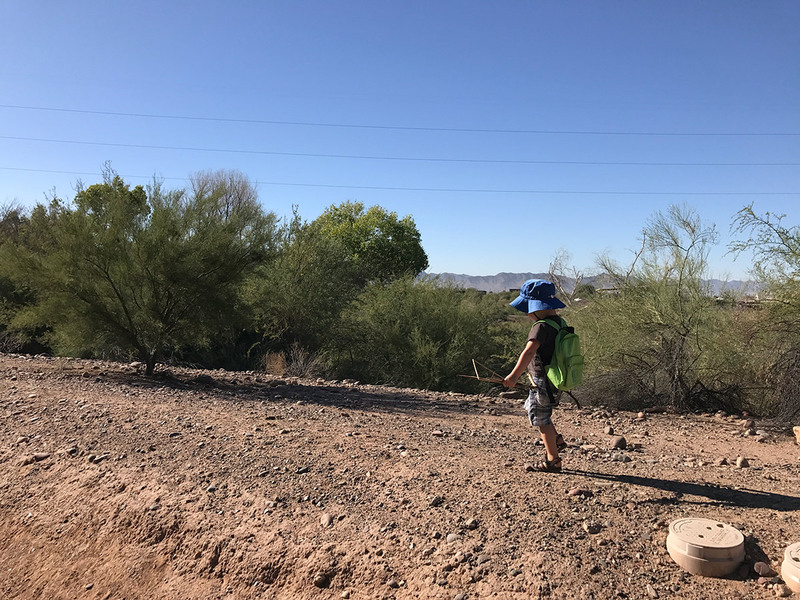 Check out our popular article listing locations all over the Valley!